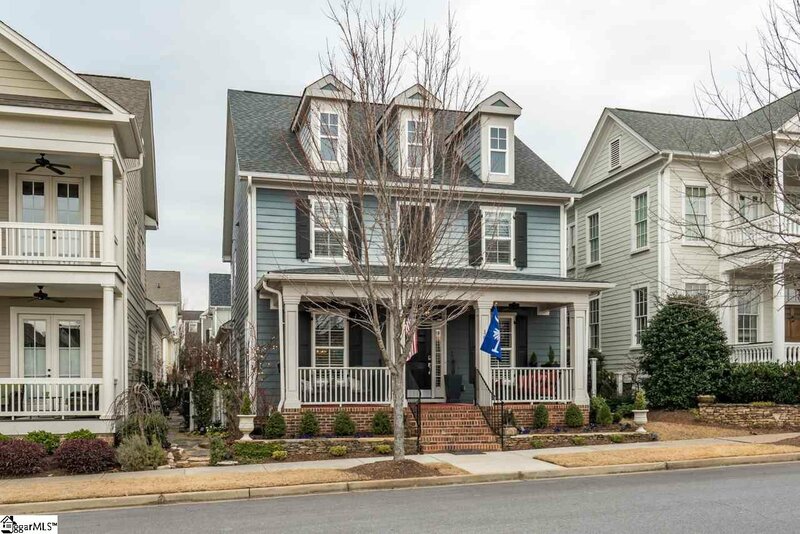 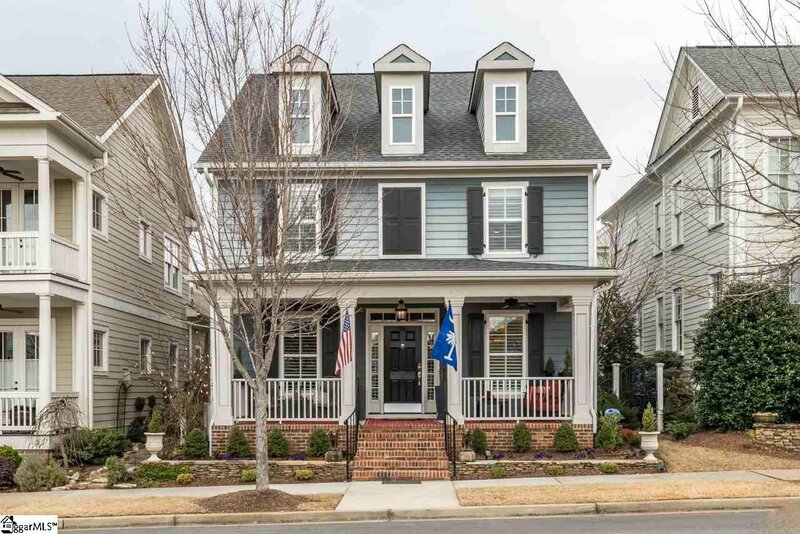 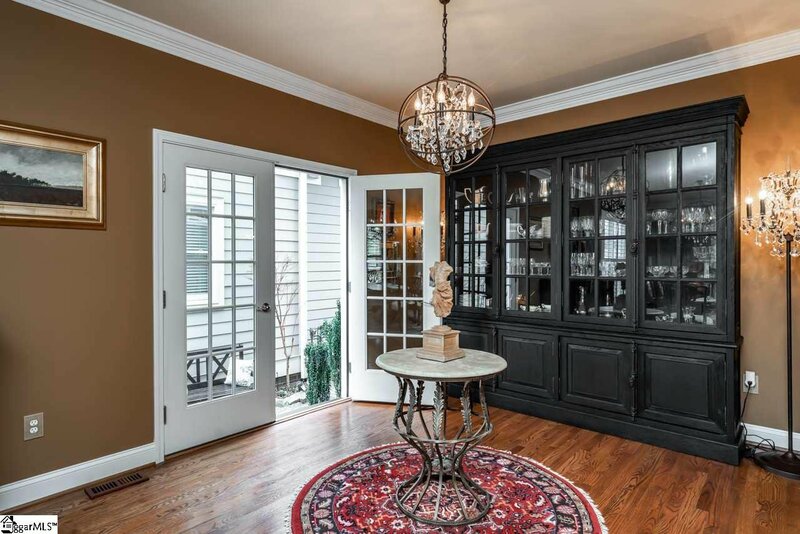 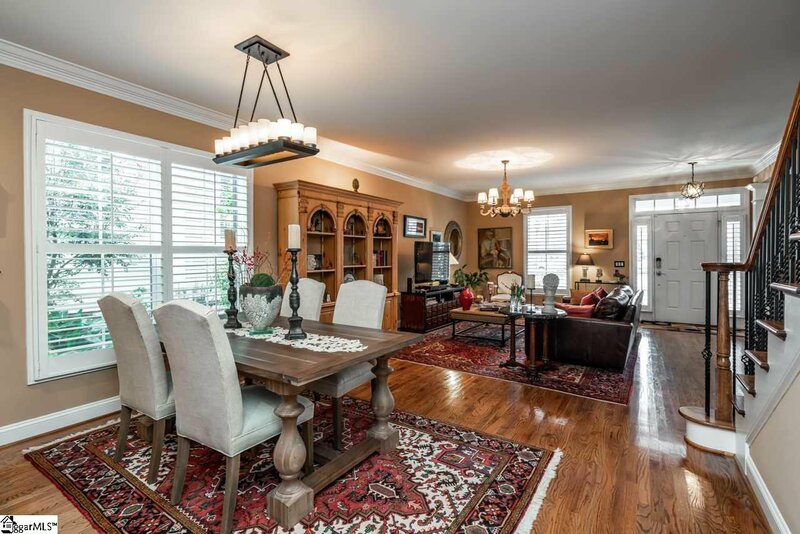 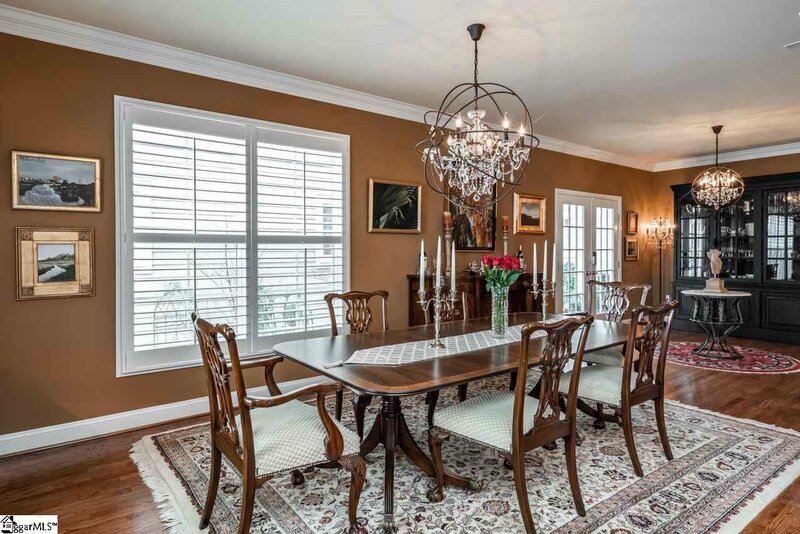 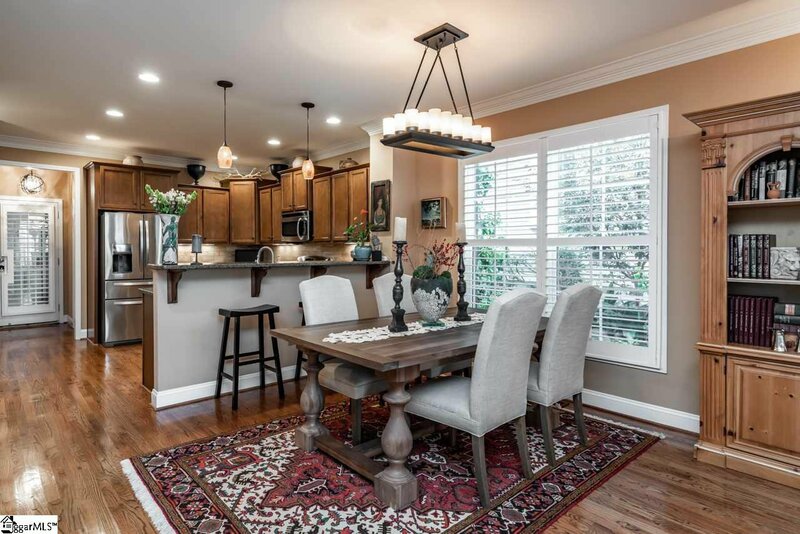 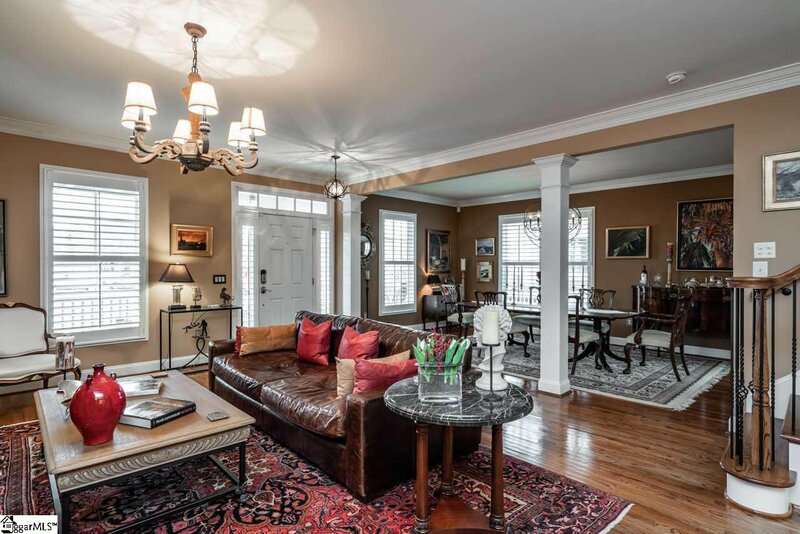 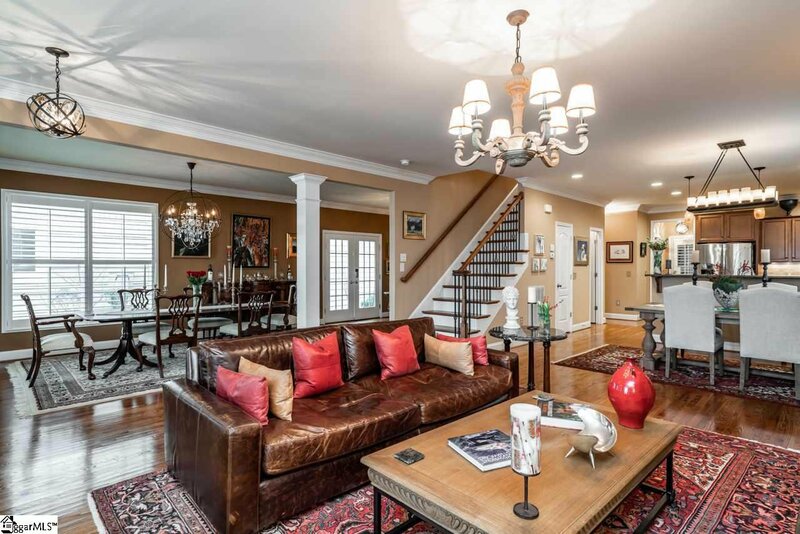 This beautiful Charleston style home in Hollingsworth Park boasts timeless elegance and quality design. 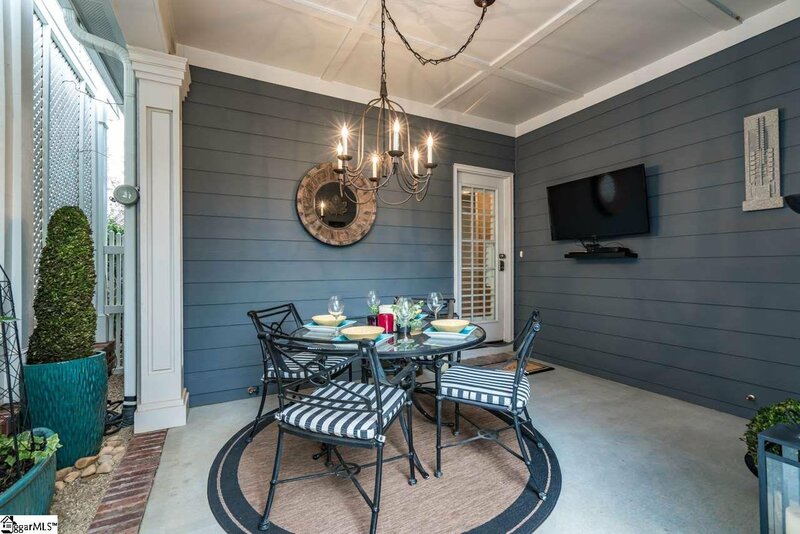 Just 8 minutes from Downtown Greenville, “The Park” as it’s affectionately known has unmatched amenities and offers a convenient lifestyle. 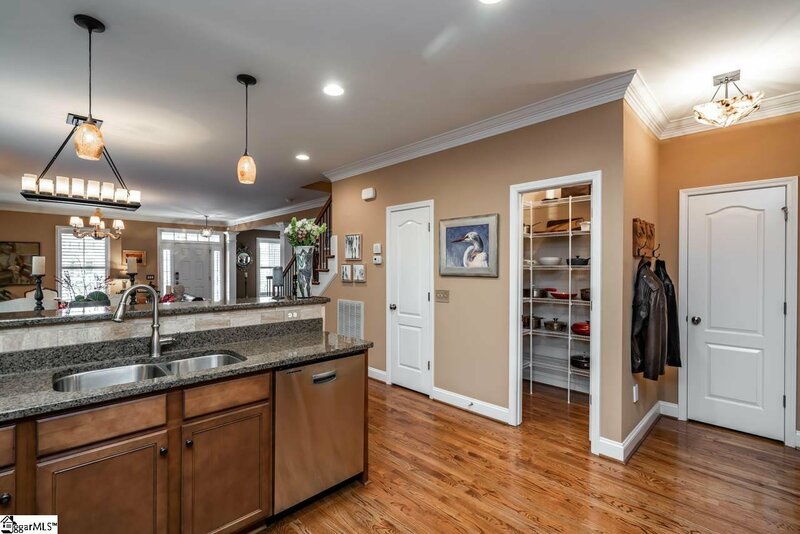 With 4 bedrooms, 3.5 baths, and ample entertaining and storage space, this home has plenty of room for family and friends. 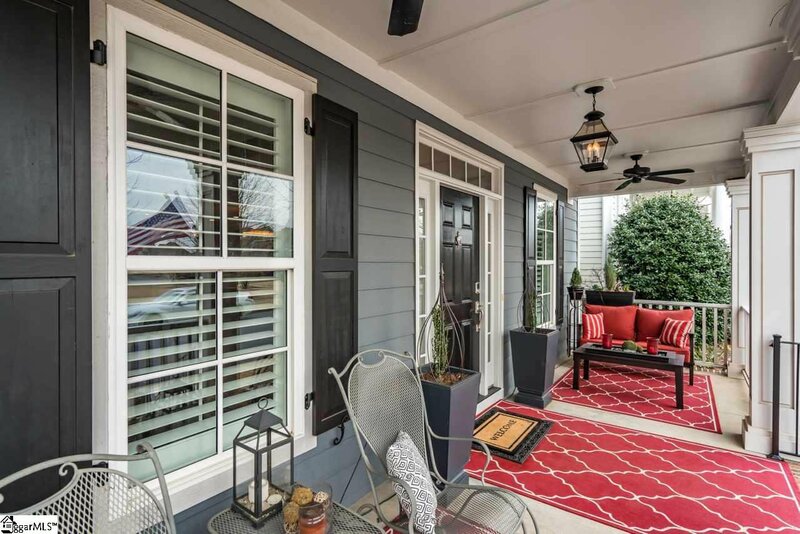 The covered front and rear porches are perfect for relaxing and enjoying good weather. 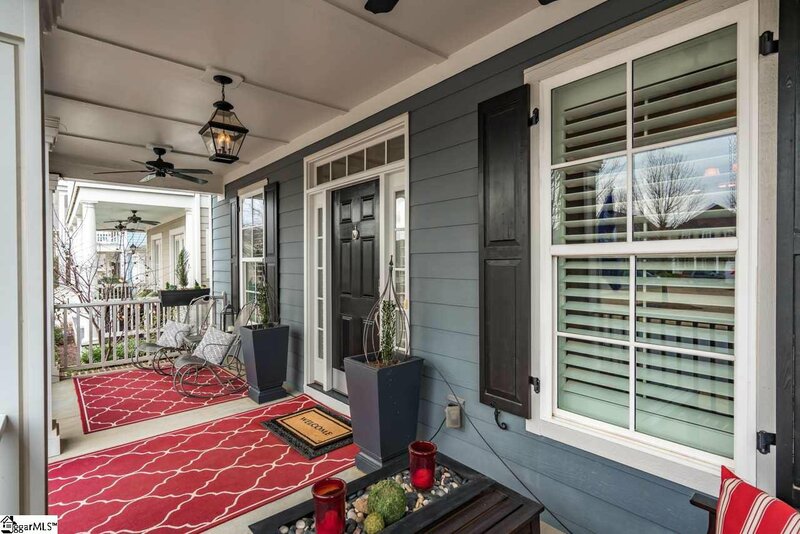 The front porch features sweeping views of Ruskin Square. 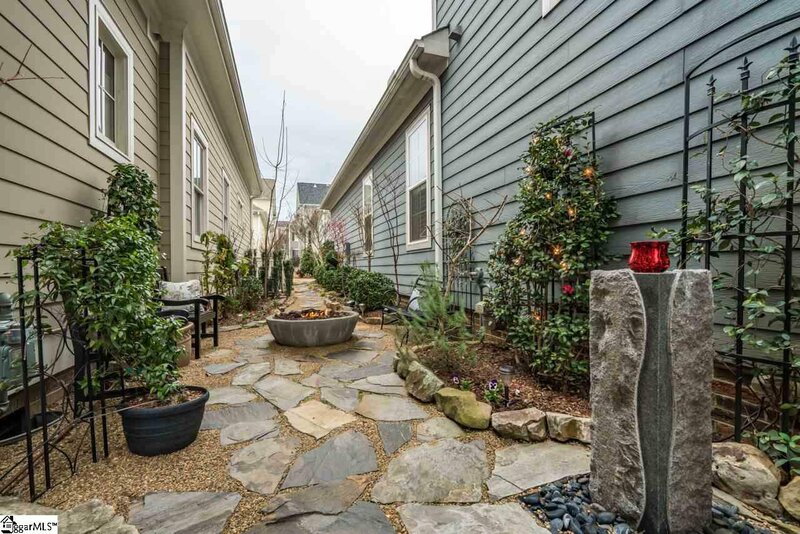 Additional outdoor living space has been added by the owner and includes a side yard with immaculate landscaping featuring Japanese maples, lilacs, gingkos, and more - all equipped with a drip watering system and irrigation. 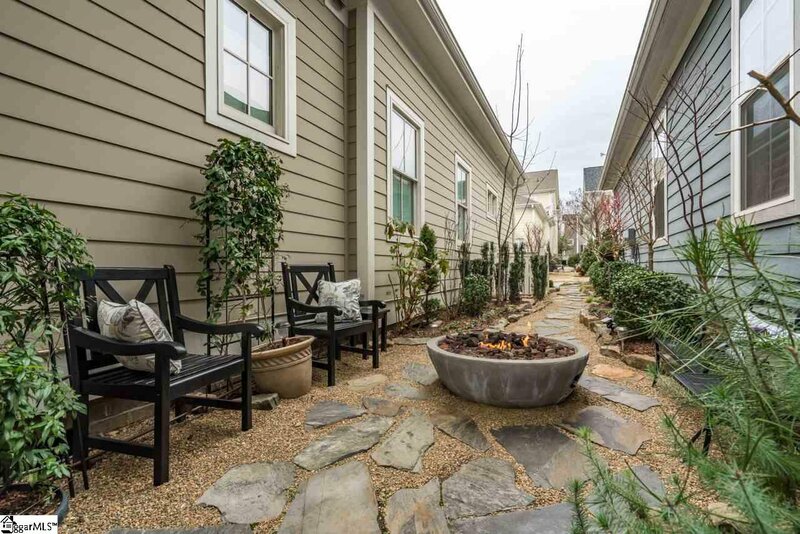 A Restoration Hardware gas firepit and stone walkway provide a relaxing place to read a book or have a glass of wine. 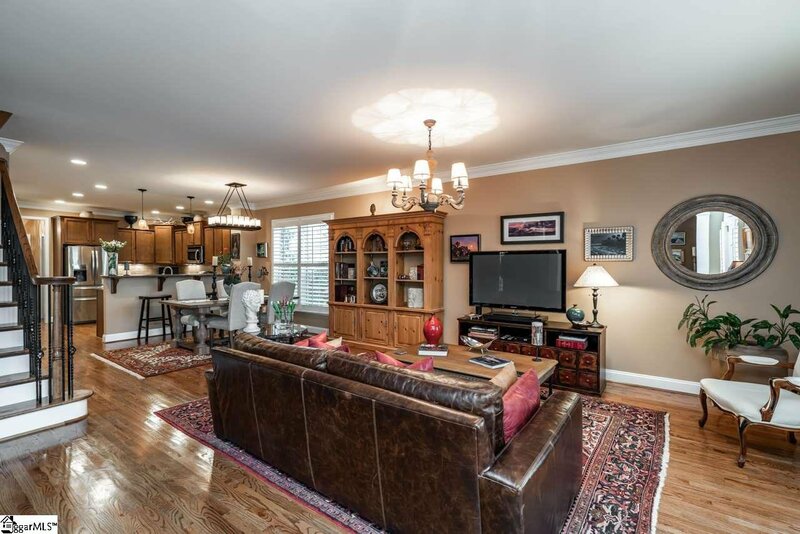 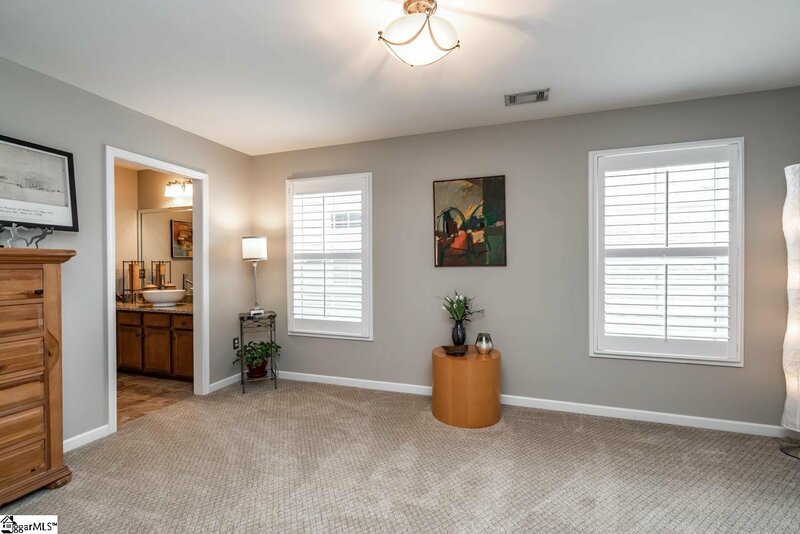 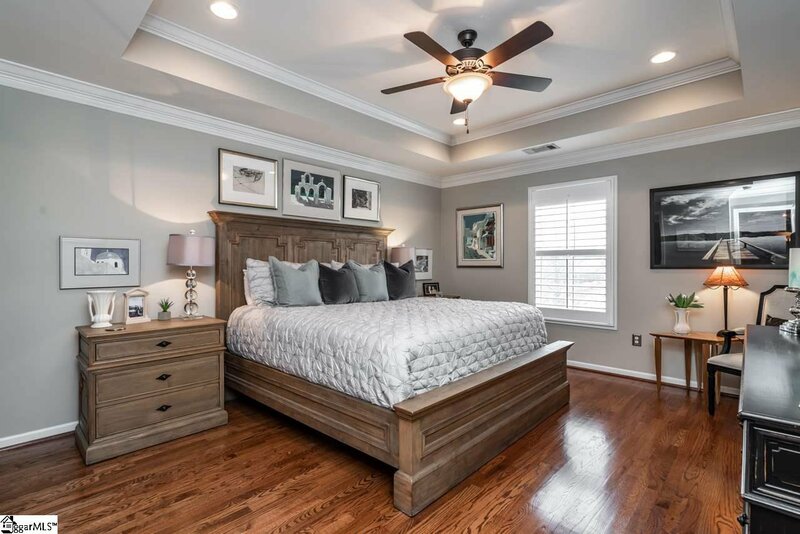 Upon entering the home, you’ll notice the open floorplan and beautiful hardwood floors throughout. 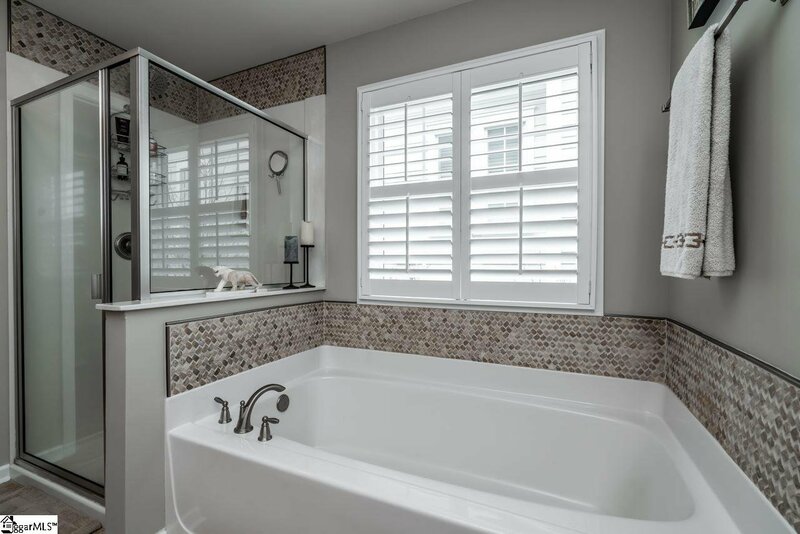 The house is filled with natural light and has high quality plantation shutters adorn all windows. 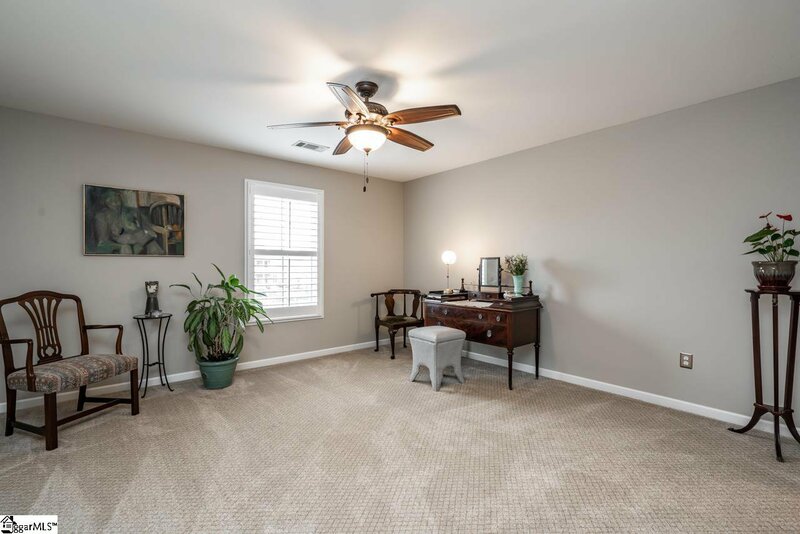 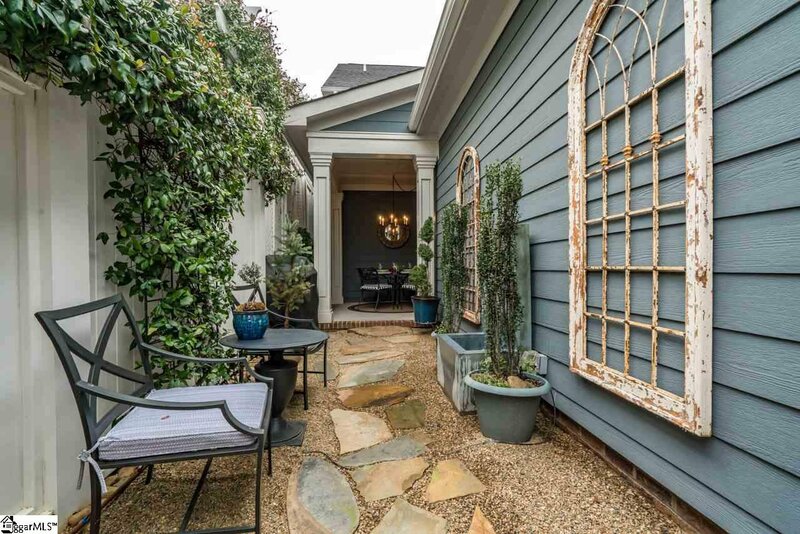 Walk into the dining room to see extended space that could be used as an office or living room, and walk through the French Doors to see the landscaped yard and entertaining area. 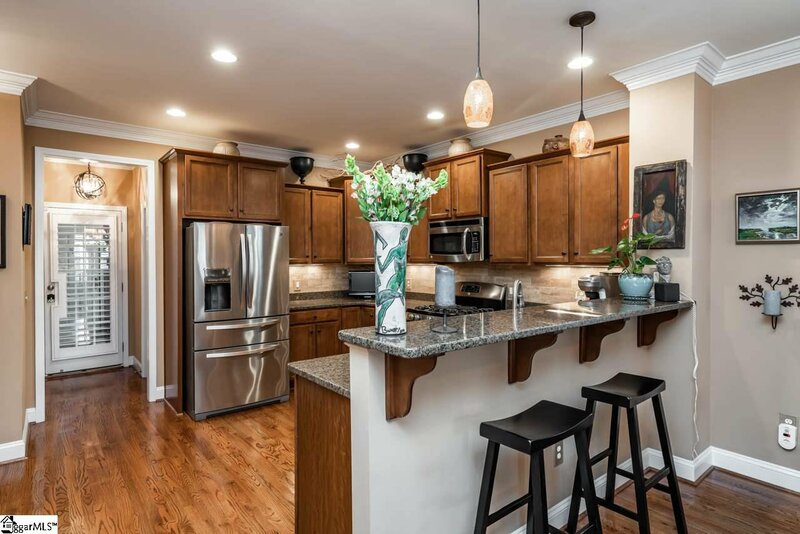 The family room, kitchen, and breakfast nook are all connected, boasting natural light and gorgeous views. 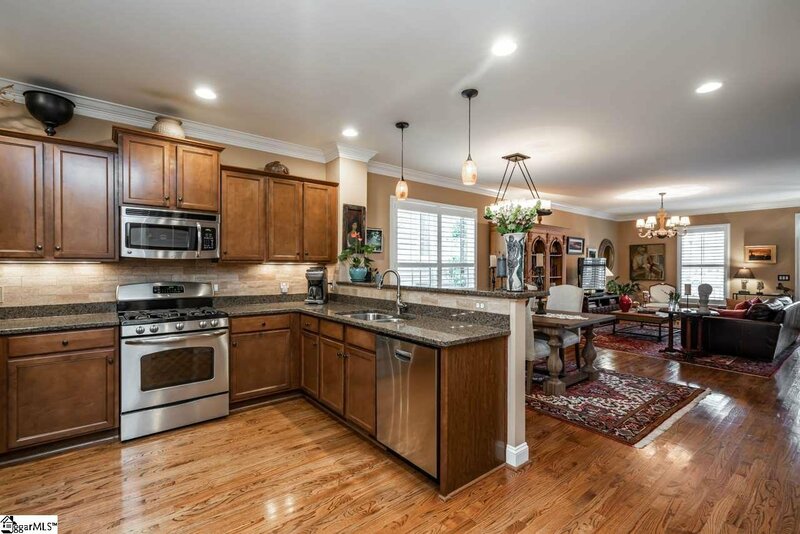 Chefs will love the gas top range, convection oven, stainless appliances, granite countertops, and the large walk-in pantry. 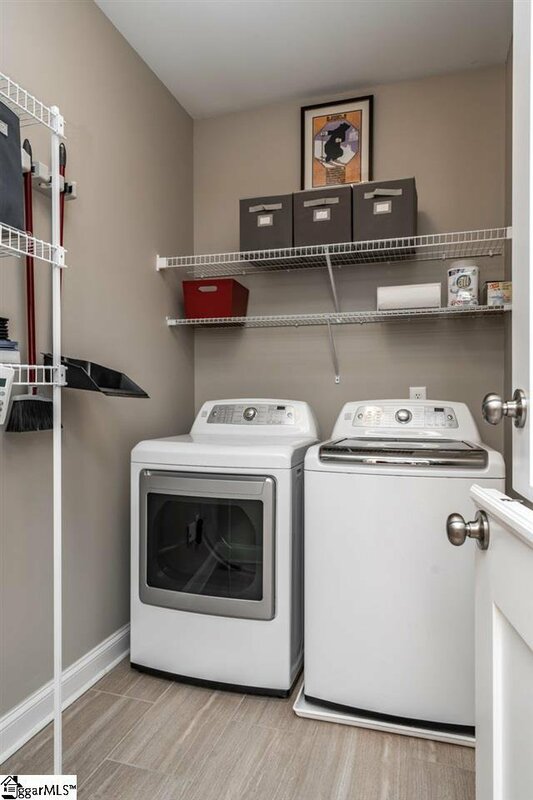 The downstairs laundry room is 9x5 and offers storage space for all your cleaning supplies. 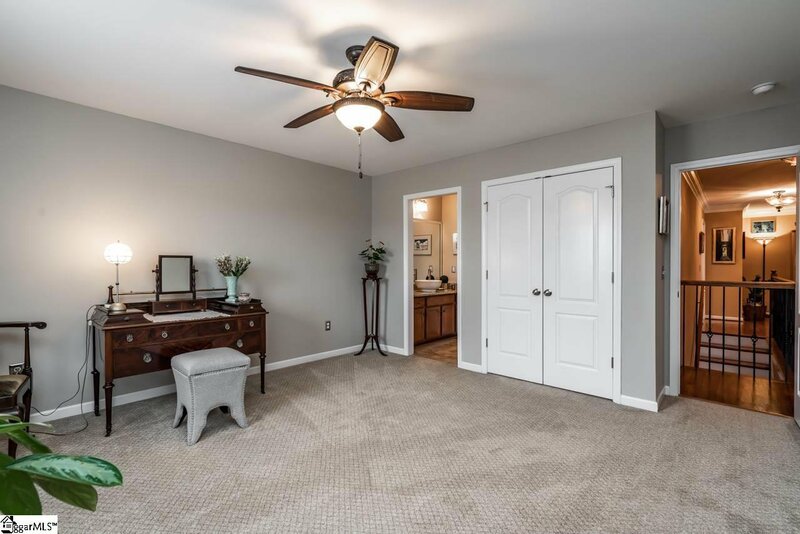 The main level also has a guest suite or optional Master Bedroom, perfect for extended stay visits from in-laws or friends. 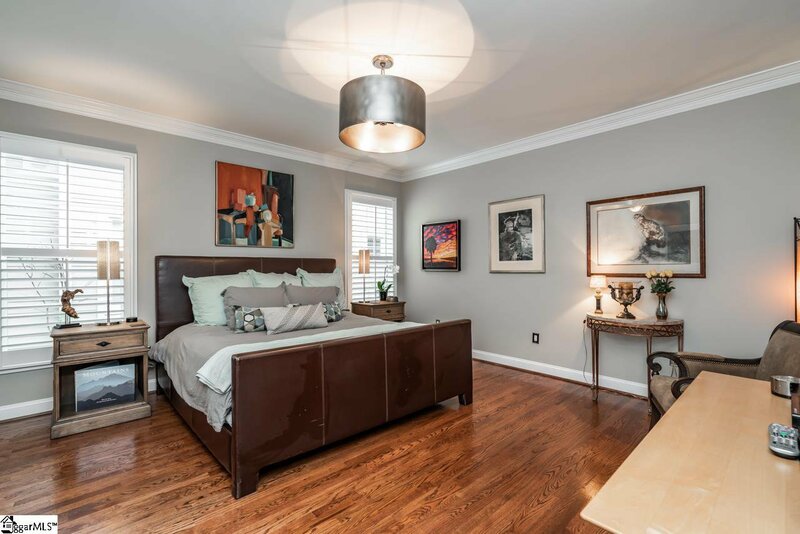 Upstairs, you’ll find three spacious bedrooms and a loft area. 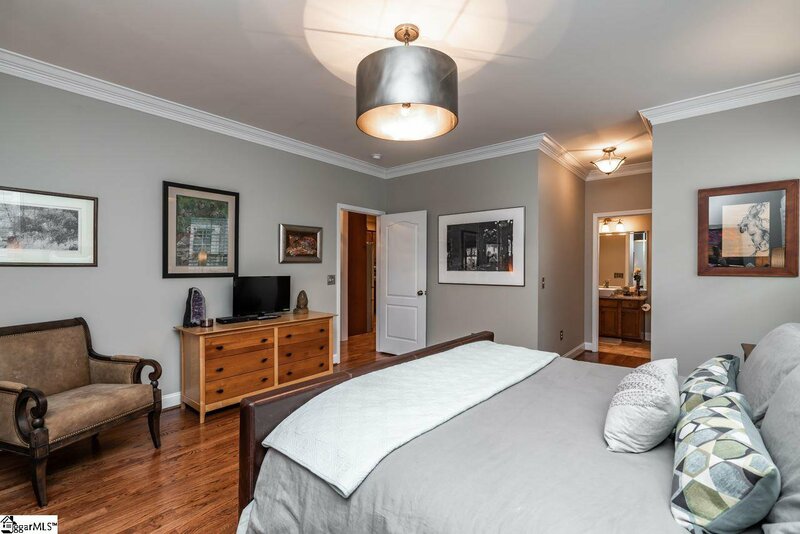 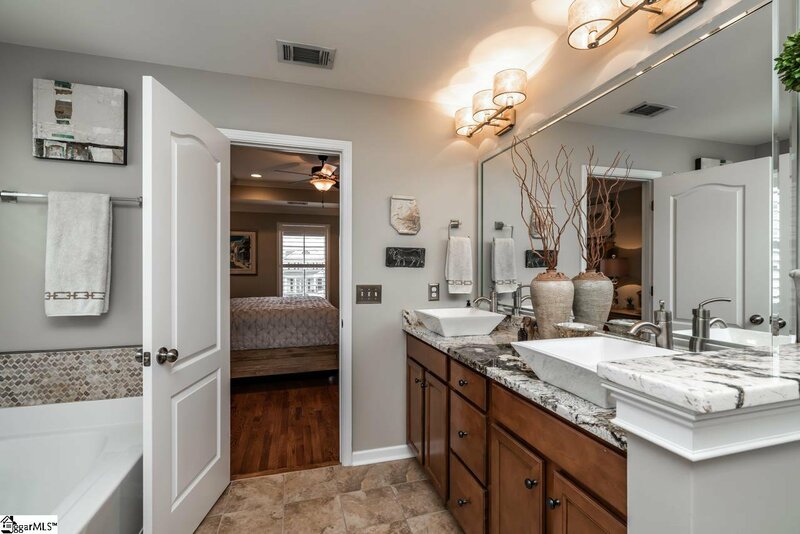 Two bedrooms share a quartered styled jack and jill bath. 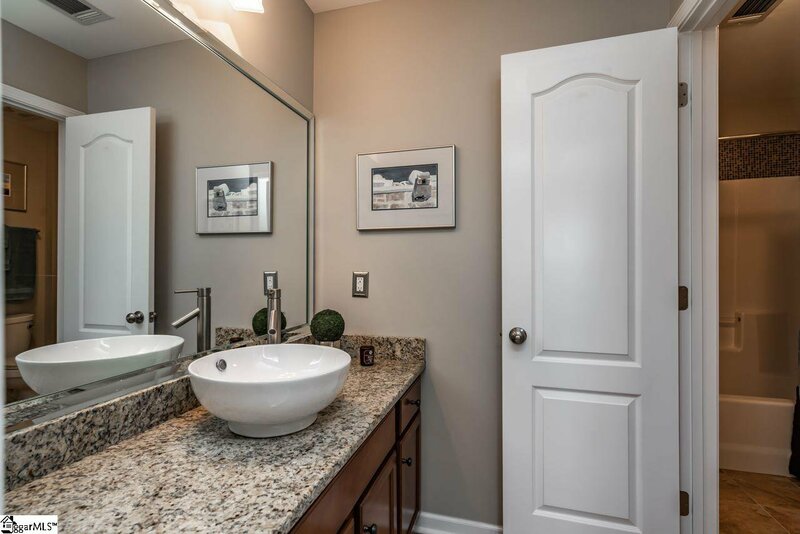 The primary Master Suite features a beautiful tray ceiling and the master bath of your dreams. 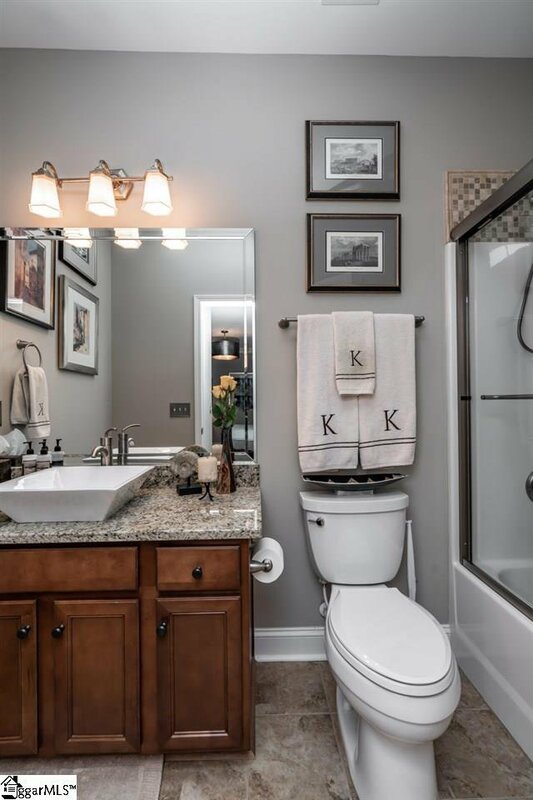 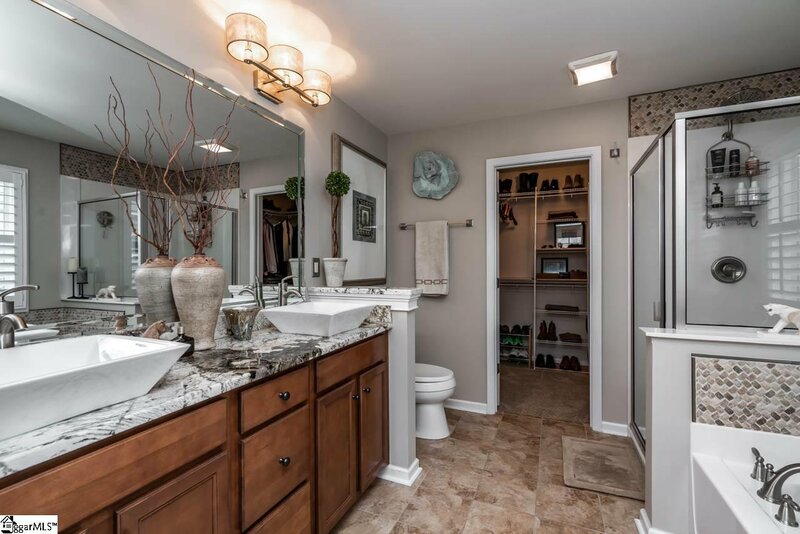 With a dual vanity, a garden tub, a separate shower, and a large walk-in closet, it is fit for a king or queen. 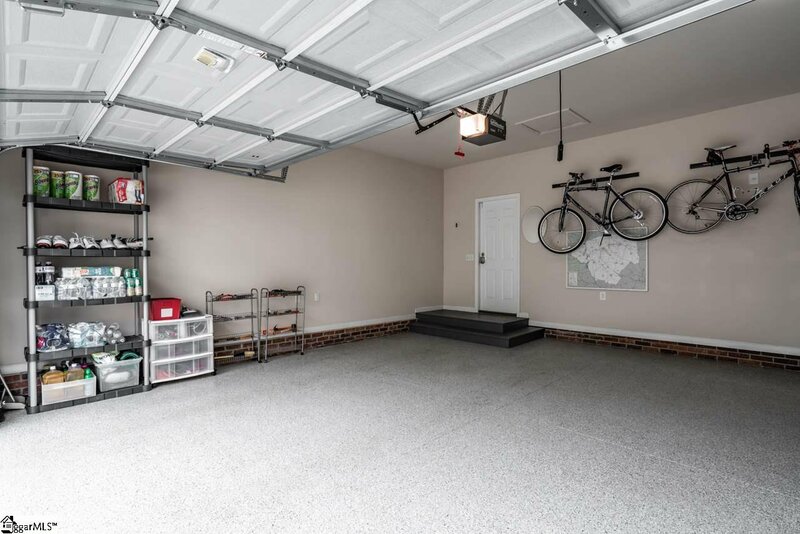 The oversized 2-car garage, comprehensive security system, and keyless door pad locks, are just a few amenities of this home – there are too many to name! 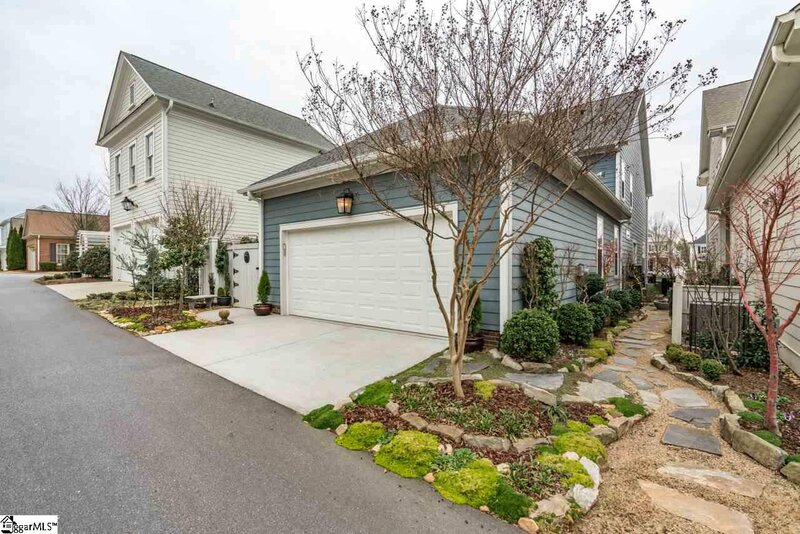 Enjoy living in a dream home while being in the best neighborhood in Greenville. 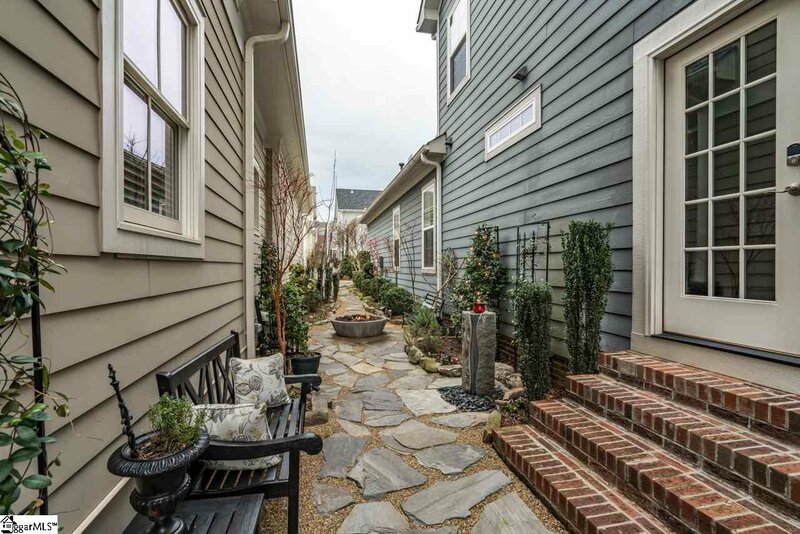 From terrific walking trails and parks, to Stella’s restaurant to the local Boutique YMCA, life is better “In the Park”. 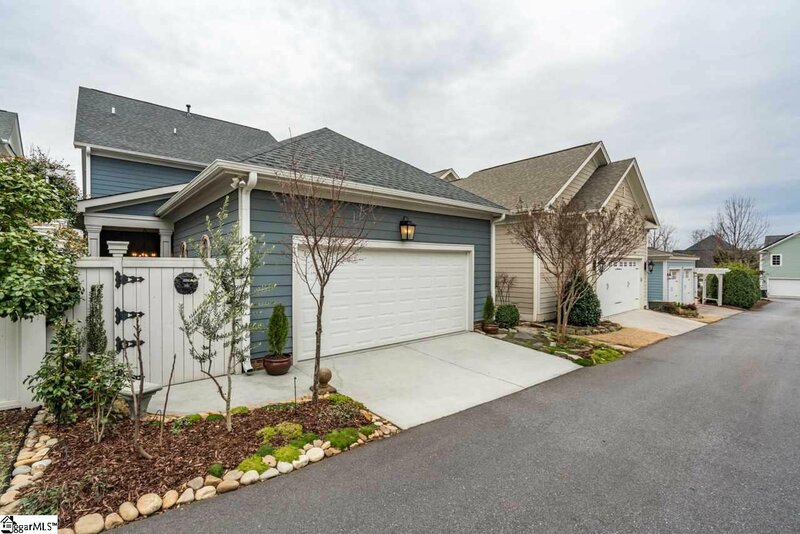 Come see for yourself by taking a look at this wonderful house and community! 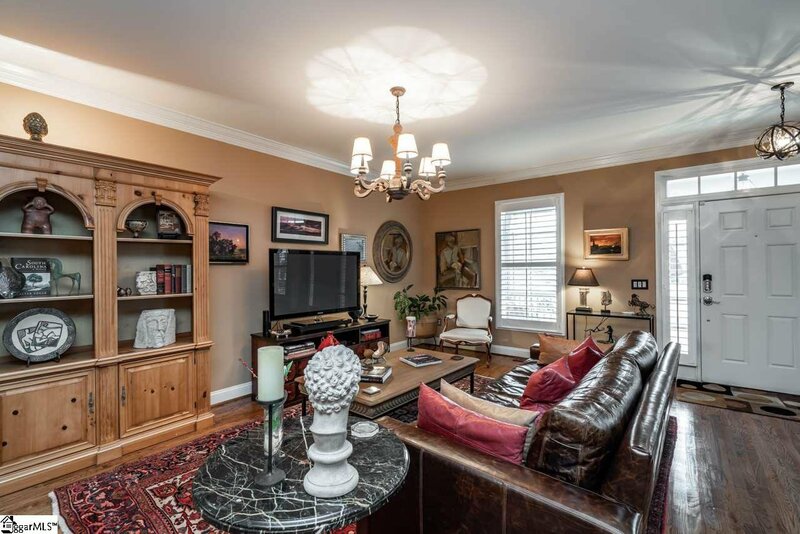 Listing courtesy of Coldwell Banker Caine/Williams. 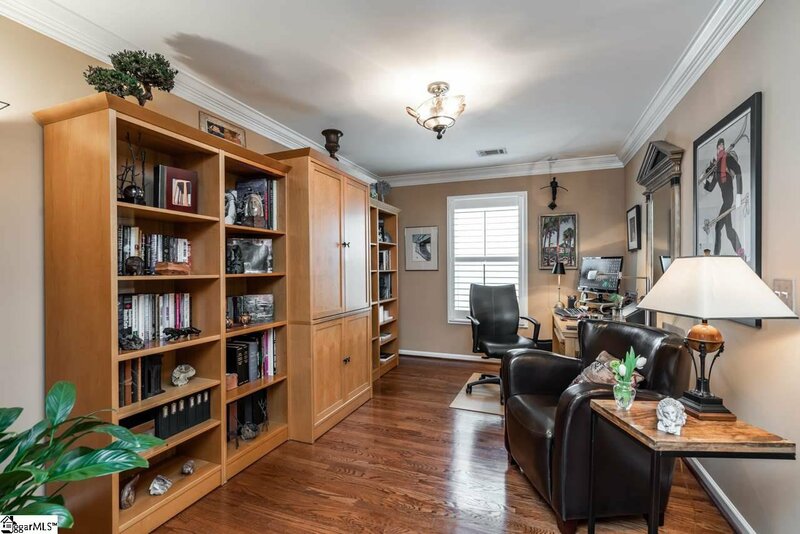 Selling Office: Wilson Associates.